The alliance aims to increase access to improved potable water and strengthen the capacity of local governments and communities to plan and manage sustainable water supply development in Ziguinchor, Kolda and Tambacounda regions of Senegal. In 2009, the existing Water and Development Alliance (WADA), a global public-private partnership between USAID and The Coca-Cola Company, was approached about supporting efforts to improve access to water and sanitation in rural Senegal. Coca-Cola and USAID launched the WADA partnership in 2005 and have jointly invested over $31 million dollars in a wide variety of water sector activities in 24 countries around the world since then. For each WADA country program, USAID and CocaCola together identify specific water sector goals, and develop and implement programs to address the challenges identified. In Senegal, a local partnership relationship between Coca-Cola and USAID needed to be nurtured to identify comparative strengths and priorities of each organization and agree on key areas of alignment that best addressed the needs of the people of Senegal. This involved a way finding a way to effectively marry Coca-cola’s long commitment to increasing access to drinking water with USAID/Senegal’s commitment support the Government of Senegal’s objective to increase sanitation coverage. USAID provided funding, management, and responsibility for key outcomes through the WADA alliace with Coca-Cola and local NGOs in Senegal. The partners jointly develop a holistic approach to water supply, sanitation, and hygiene (WASH) drawings on emerging best practices in the sector, and capitalizing on the involvement of a leading private sector actor. WADA carried out activities in Senegal with a focus on improving water and sanitation infrastructure and services in targeted rural, small-town, and periurban areas while implementing hygiene education programs and promoting local governance of water and sanitation. 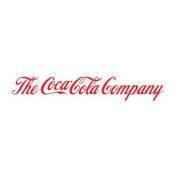 The Coca-Cola Company is the world's largest beverage company with more than 500 sparkling and still brands. Led by Coca-Cola, the world's most valuable brand, the Company’s portfolio features 15 billion dollar brands including Diet Coke, Fanta, Sprite, Coca-Cola Zero, vitaminwater, Powerade, Minute Maid, Simply, Georgia and Del Valle. Globally, it is the No. 1 provider of sparkling beverages, ready-to-drink coffees, and juices and juice drinks. Through the world's largest beverage distribution system, consumers in more than 200 countries enjoy our beverages at a rate of 1.7 billion servings a day. With an enduring commitment to building sustainable communities, our Company is focused on initiatives that reduce our environmental footprint, support active, healthy living, create a safe, inclusive work environment for our associates, and enhance the economic development of the communities where we operate. Together with our bottling partners, we rank among the world’s top 10 private employers with more than 700,000 system employees. The company manufactures the concentrates, beverage bases and syrups and sells them to bottling operations. Coca-Cola owns the brands and to connect the brands with customers it focuses on marketing activities including print and television advertising, on line programs, retail store displays, sponsorships, contests and package design. GETF has served a wide range of clients including the White House, federal and state agencies, leading foundations, Fortune 500 corporations, non-governmental organizations, and multilateral development agencies. With a result-driven team and a deep breadth of experiences gained over the past 20 years, GETF is uniquely positioned among nonprofit organizations to design and implement high-value, lasting programs and partnerships. GETF’s work is driven by a simple principle: Sustainability challenges are solvable if we work together. Strong partnerships are critical for meeting our world’s sustainability challenges. GETF develops effective shared value partnerships that address each stakeholder’s objectives, fully leverage available capacities and resources and ensure ongoing communication, learning and adaptation. They have an extensive history working with leading corporations, government agencies, foundations and civil society to develop long-lasting, results-oriented partnerships. GETF currently manages partnership investments valued at over $100 million that are creating positive change throughout the world. A well-conceived program is only as strong as its execution. Successful project implementation means working in close partnership with those on-the-ground, employing a rigorous and results-driven management approach, and demanding accountability from all stakeholders. Following these principles improves the efficiency, effectiveness, and sustainability of environmental and community efforts. GETF offers expertise in comprehensive program management including project development, administration and monitoring and evaluation. 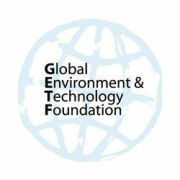 GETF’s experience includes management of over 100 water and energy programs in over 50 countries. RTI International is an independent, nonprofit research institute dedicated to improving the human condition. Clients rely on them to answer questions that demand an objective and multidisciplinary approach—one that integrates expertise across the social and laboratory sciences, engineering, and international development. Combining scientific rigor and technical proficiency, they deliver reliable data, thorough analysis, innovative methods, novel technologies, and sustainable programs that help clients inform public policy and ground practice in evidence. They scale their approach to fit the demands of each project, delivering the power of a global leader and the passion of a local partner. They believe in the promise of science, and they push theirselves every day to deliver on that promise for the good of people, communities, and businesses around the world. They maintain offices on four continents, with their headquarters in Research Triangle Park, North Carolina, reflecting their roots in the area’s distinguished universities. Founded in 1958 with support from North Carolina government, education, and business leaders, they maintain close ties with North Carolina State University, Duke University, North Carolina Central University, and the University of North Carolina at Chapel Hill. 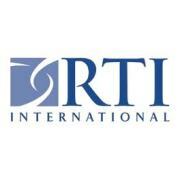 Their dedication to innovative, objective research and technical services makes RTI an outstanding partner for clients around the world whose greatest challenges demand rigorous approaches and science-based solutions. It also makes RTI a great working environment for people who share their mission to improve the human condition.